How do I place a test transaction? Placing test orders is a great way to train your team (and yourself!) on how to redeem Gift Up! issued gift cards and to understand your customer's buying experience fully. 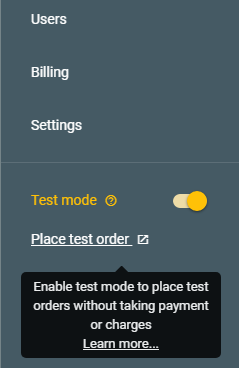 We've created a special test mode for doing exactly this. It allows you to place orders and issue gift cards, without taking payment or incurring any Gift Up! fees. All you need to do is fill out the checkout and place an order. We issue you with a fake Visa card to test the payment experience as well. Once you've placed your order you will notice that the issued gift card is a little different to the live gift cards we issue. They have a big orange banner and a "TEST" watermark on them. 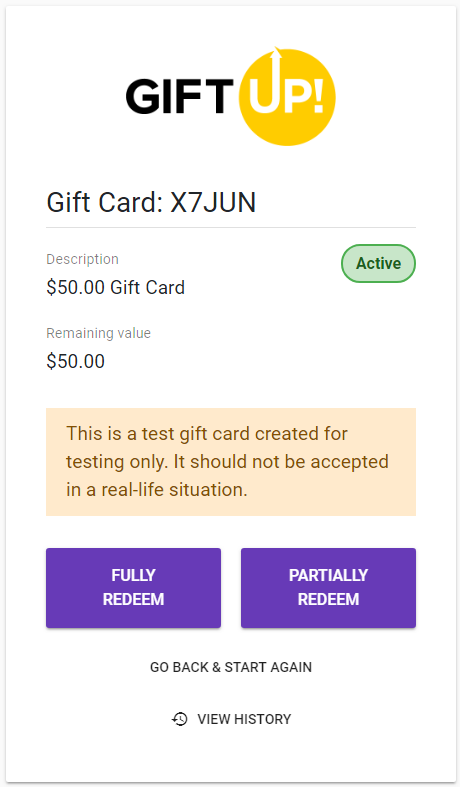 We've done this so that your team can clearly see that the gift card was issued in test mode and is used for training safely. You can also see the order in the dashboard, but you will notice that is it separated to your live orders. After this you might want to also conduct a trial run to see how redeeming gift cards works. 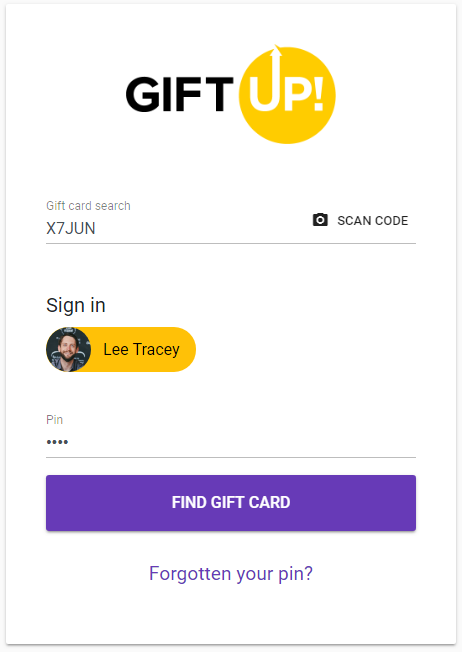 Redemption can be tested through our mobile/web apps (great if you accept our gift cards in-store), our dashboard (if you do it at home afterwards!) and our API (if you're working towards a deeper integration with us). 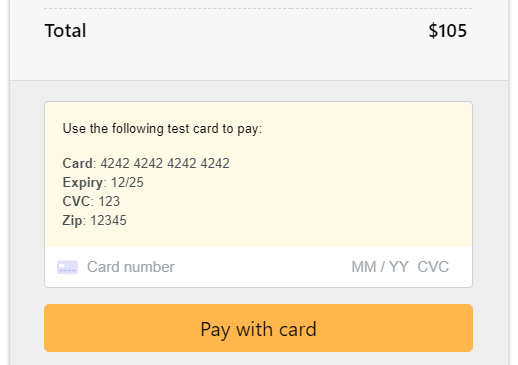 2) Notice the warning message stating that this is a test gift card and should not be accepted if a customer presents you with one (not that they should be able to get hold of a test gift card of course). You can then fully complete the process to partially or fully redeem the gift card as normal. 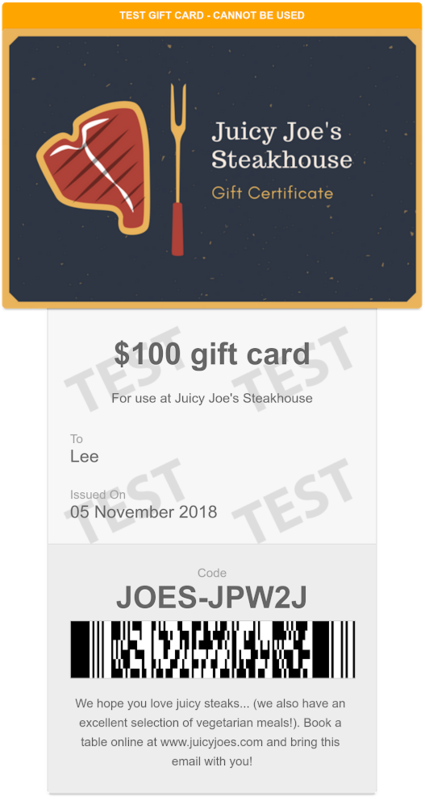 If you use any other integrations, like Zapier, WooCommerce, Ecwid etc... then you'll be happy to learn that the test gift cards also get pushed into those system so you can fully test how Gift Up! works. 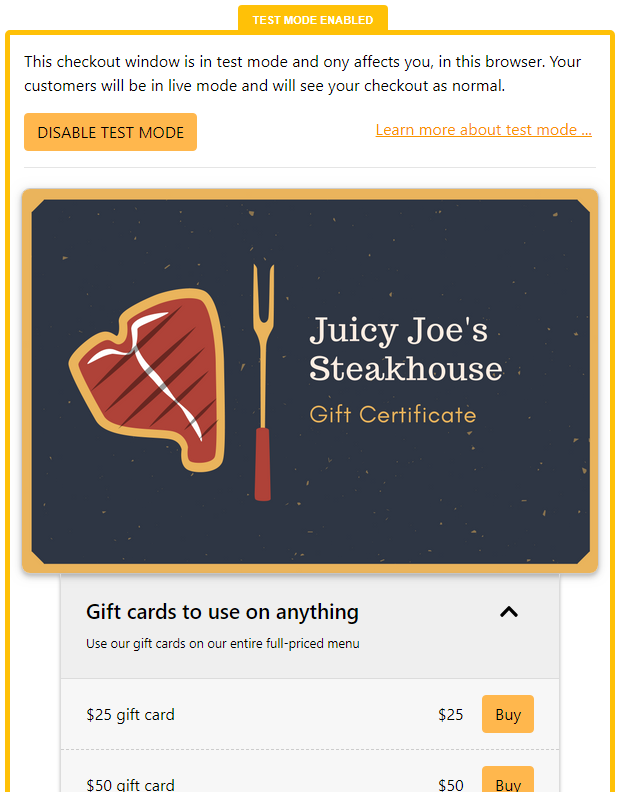 The only difference is that the gift cards we create in your ecommerce platform has a "-TEST" suffix on them.